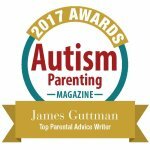 Before You Know If It’s Autism – Hi Blog! I'm Dad. While you don’t get to learn about the unique way Autism can affect each life until it affects yours, you definitely hear about it before it ever does. The word comes up in many instances and, in a lot of cases, can be presented as something every parent should dread. So the mere thought that your child might be on the spectrum in some way can be devastating before you even understand what it is. The word itself takes on so many conflicting meanings in your head and, while you’re not sure what it will even mean to you, you just know it’s something you’ve been conditioned to fear. Like most parents, we started to discover that our son might have Autism through missed milestones. It’s a slow burn that accumulates over time. Sometimes you write these delays off as “normal”. Sometimes you don’t. As a whole, though, they all become things that start to consume you. This time period was easily the worst for me. You’re at the point where you know that there are certain limitations to what your child can do, but to acknowledge them would feel as though you’re not being supportive. Saying your toddler can’t wave hello yet, even if you know they can’t, feels like a parental surrender. Even experts and professionals will tell you that “anything is possible.” It conjures up bizarre images of waking up one morning to your baby paging through the Wall Street Journal and fist bumping you hello. You go along with it because, after years of scare tactics, you’re just happy they’re not telling you that your kid definitely has Autism. Hey there, fella. I like your shirt. Up here, buddy. Look at me. Smelly feet. Look. Whoomp! Whoomp! Over here. Hey! You like Elmo? Look at Elmo. Look here, buddy. Smelly pickle feet! Up here, buddy. Many years ago, we went through this and it was one of the first times I finally had to step in. I turned to the guy and said, “Yeah, he’s not going to look at you. Just take the picture.”If I hadn’t, we’d probably still be standing there as he maniacally waved an Elmo puppet at us. That time period can feel dark but with a sense of false comfort. On one hand, you understand very little about what’s happening to someone you love more than anything. On the other hand, you still don’t have a child who’s on the Autism spectrum – a scenario that you’ve been taught to think of as the worst thing that can possibly happen. So you keep waiting. Waiting for those missed milestones to suddenly spring up is like preparing for a guest that you’re not sure is coming over. You clean the house from top to bottom. There are sparkling floors, plug-in air freshners, and fresh hors d’oeuvres. As the clock ticks down, you eagerly sit at the front door, staring as you hope for it to open. Your life goes on after that and, chances are, it’s a fine life. The absence of this guest doesn’t destroy you or your family. However, it doesn’t change the anxious feeling you had while you were waiting or all the fun things you had scheduled for the visit. In that moment, having everything turn out just as you planned seems like the most important thing in your life and, to be frank, it kind of is. However, that’s just how it feels when you’re in that moment. It’s how you handle things after they don’t turn out as you expected that really defines you. Today, I have a six year old who is non-verbal and has Autism. I say that the same way I can say my daughter has curly hair or my wife likes Walt Disney World a bit too much. It’s just a fact in my family. While I want to do whatever I can to help my son advance and reach his goals, I’m not wringing my hands over it day in and day out. I’m learning about what makes him tick and how to interact with him in ways that I could never grasp when I was still waiting for, what I falsely believed, would be “a miracle”. I know him so well now while I didn’t know him much at all back then. I never felt as helpless as I did during that time. It makes you think of yourself as more of an observer than a parent. Answers that people usually would turn to you for are answers you don’t have. It hurts when they ask and it hurts when you don’t know how to respond. Knowing for sure – either way – is what takes a lot of that pain away. Don’t be afraid of an Autism diagnosis and don’t let the months possibly leading up to it break you. Soon enough, you’ll have answers you can rely on and adjust your parenting accordingly. You just have to hold on tight until that happens. In the end, having a child with any special needs isn’t the worst thing in the world. The fog of worry might make you feel that way. But when it clears, no matter where you end up, you’ll be amazed at what the two of you can accomplish. We are taking a slightly different path with jax , but that’s it ,it’s not a negative ,he’s as amazing as his sis in his own unique way and we couldn’t love him any more ! “Different not less” I’ve read in many memes and so very true ! We have our ups and downs like any family does ,his sis has it a little tougher than most siblings do but she doesn’t love him any less and neither do we . I’m very proud of my boy ,each milestone we make is huge ,he’s progressing really well at nursery and I’m positive he’ll continue to do so ,and we will be right behind him every step of the way . Have just finished reading your article after 3 attempts to finish it. I am still very much in the fog and trying my best to hold on tight. I could relate to every word in this article as if you went into my head and wrote down exactly how I felt. Thank you for writing it. I am still at the door waiting but look forward to a time of acceptance and excitment to discover our different path, just not quite there just yet. Hi Sarah. It’s for people in situations like yours that I wrote this. The hardest part about that time is that, depending on the diagnosis, it’s the very start of the journey but also the bleakest. So it sometimes feels as though the entire thing will be that way. It’s not. It definitely gets better no matter what the news ends up being and so much of the fear stems from confusion and the newness of the situation. For the moment, the only thing to do is hold on and remember that it gets better. I wish you nothing but the best.